Textron Specialized Vehicles will now compete in the recreational side-by-side market with vehicles like the 2017 Wildcat X from Arctic Cat with RG Pro suspension. Textron is buying Arctic Cat for $247 million. Arctic Cat will become part of Textron’s Specialized Vehicle business and Textron’s management stated that the current manufacturing, distribution and operational facilities will be maintained. Arctic Cat employs about 1,600 people in production and management facilities mostly in Minnesota. 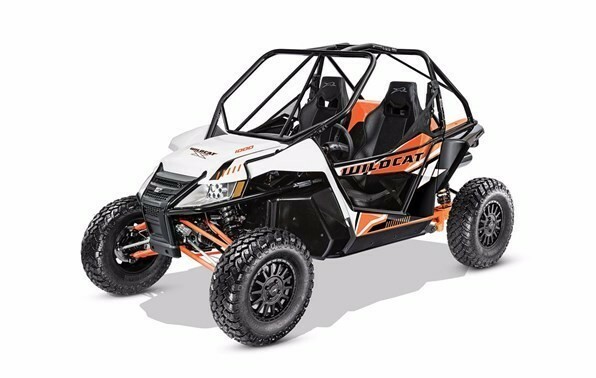 Textron management remarked that the acquisition will allow for “…more aggressive investment in product development, dealer networks, marketing and customer service.” For the full fiscal year ended March 31, 2016, Arctic Cat reported a net loss of $9.2 million on net sales of $632.9 million. Sales are roughly split between ATVs/UTVs and snowmobiles. For fiscal year 2017 they were expecting similar sales. This acquisition by Textron makes them much more of a direct competitor with Polaris. While Polaris has been expanding into more work and transportation related products with acquisitions of GEM, Aixam, Goupil and Taylor-Dunn, which puts it in direct competition with Textron’s Cushman, TUG and E-Z-GO vehicles, Textron has been expanding with their roll-out of the Bad Boy Off-Road brand of UTVs and ATVs. This acquisition significantly adds to the products and markets where they will be competing head to head. In Arctic Cat they acquire a well established brand. They acquire a power sports dealer network which is distinctly different then what they currently have. It will be interesting to see what happens with the Bad Boy Off-Road brand. There is some overlap of product lines with Arctic Cat. A quick perusal of the Bad BoyOff-Road dealer network reveals that many or even most of the dealers are golf car related dealers with some power sports dealers. They could continue to develop the brand or fold some of the products into the Arctic Cat brand. Perhaps, lower than expected success of the Bad Boy Off-Road launch was one reason for acquiring Arctic Cat. Why spend a large amount of resources building a new brand in a very crowded market with no guarantee of success when they can acquire a well established brand such as Arctic Cat. This entry was posted in globalization, Investment & financing, Management, market trends, Polaris, Sales figures, side-by-side, utility vehicles and tagged acquisition, arctic cat, Bad Boy Off road, snowmobiles, Textron Specialized Vehicles, UTVs by Marc Cesare. Bookmark the permalink.